Raise your hand if you love pasta. So do I. And whenever I go out to dinner, I usually splurge on a ~fancy~ pasta dish. But when I cook it at home, I tend to play it safe and stick to something basic like spaghetti in marinara sauce. So I decided to experiment a bit with my favorite food. 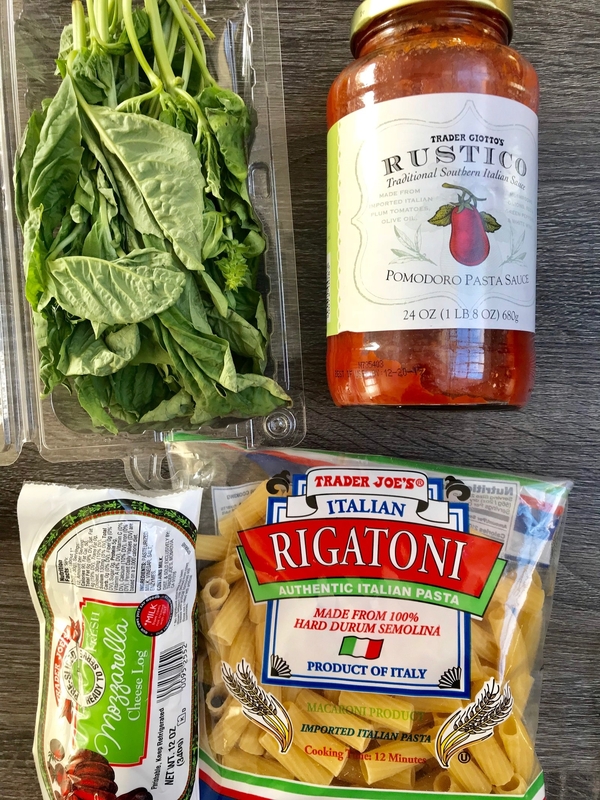 I found a bunch of pasta cooking hacks that sounded either too far out there or too good to be true, and I tested them at home. Here are 10 of my favorites that actually worked. Hack #1: Make better-for-you gnocchi using just two ingredients. The idea: Gnocchi is one of those foods that sounds super complicated to make, but it's actually pretty simple. There are plenty of ~fancy~ gnocchi recipes around the internet, but the truth is all you really need is potato and flour. 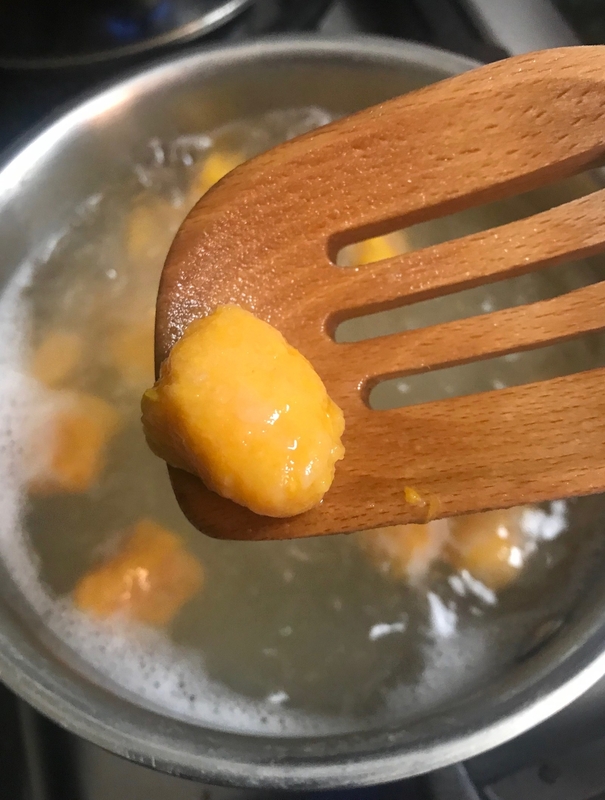 To give traditional gnocchi a healthy-ish twist, you can use sweet potatoes, which are loaded with vitamin A and fiber. 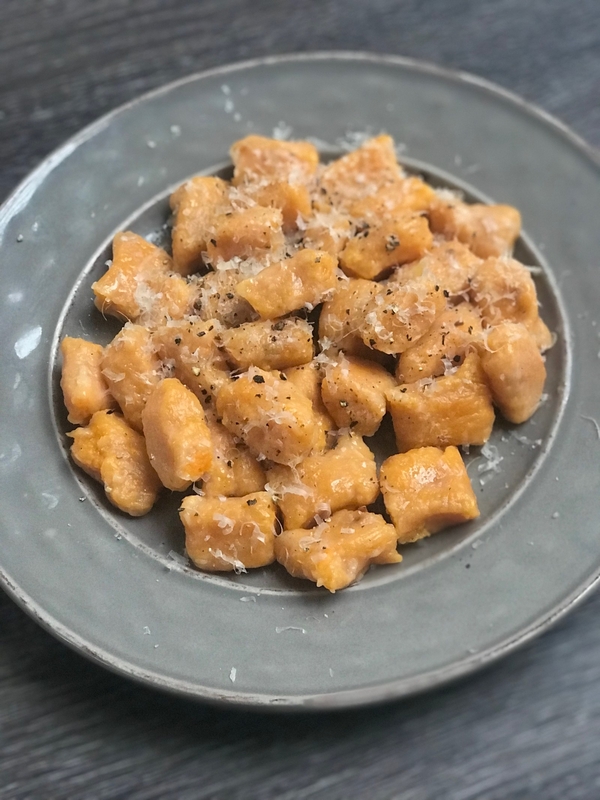 I found a promising recipe on B.Britnell for three-ingredient gnocchi (which is actually more like two-ingredient gnocchi, since one ingredient is salt). It sounded really easy: Bake a sweet potato, grate it over flour, combine and roll out, then boil in water. The results: Damn. These were good. Some of the prep is a little time consuming, but it's difficult to mess up. These sweet potato gnocchi came out light and airy, yet still doughy and a tiny bit sweet. They were delicious, TBH. I topped mine with a tiny bit of butter, thyme, and shaved pecorino cheese to add a savoriness to the semisweet dumplings. I will definitely be making these again. Hack #2: Cook pasta directly in red wine for flavorful ~drunken noodles~. The idea: By now, you've probably seen videos of cooking spaghetti in red wine all over Instagram and blogs. Basically, you bring a large pot of water and a bottle of red wine to a boil and add the spaghetti. 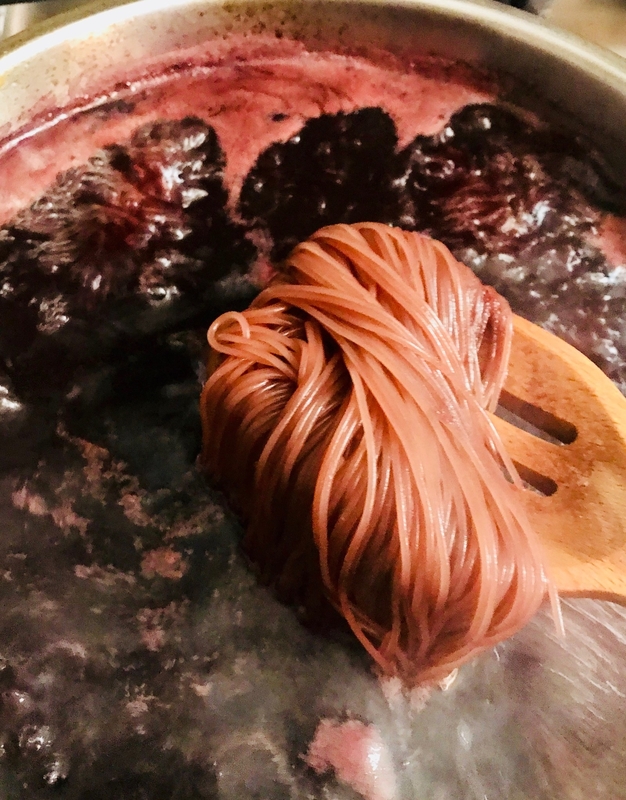 Once done, the noodles should change color into a deeper, purplish color and absorb some of the wine's flavor. According to multiple recipes I found online (like Food and Wine's and Mark Bittman's), you can use any dry red wine. The results: This was definitely not your average spaghetti. The pasta soaked up a lot of the wine, so when it was done cooking, the spaghetti was almost the color of soba noodles and it had a deep flavor that was a mixture of slightly sweet, bitter, and nutty. 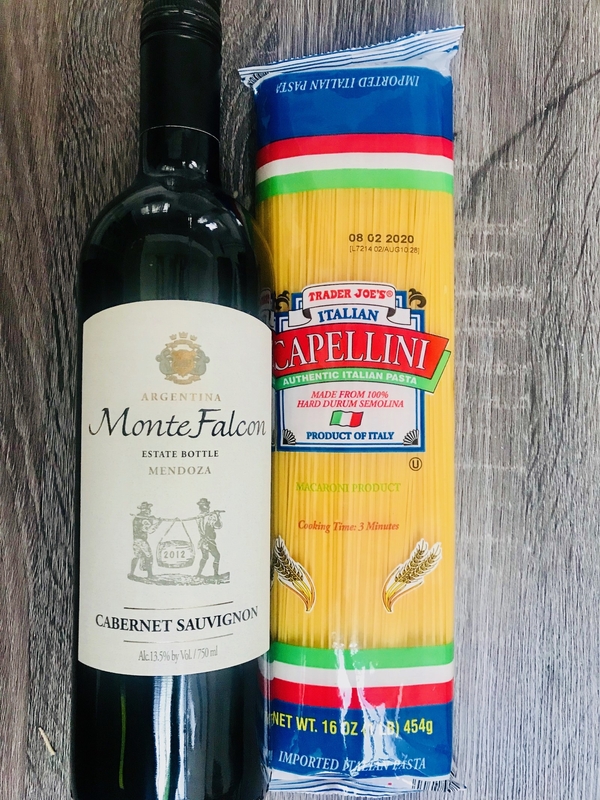 As a wine lover, I really enjoyed the taste of this pasta dish, but I could see people being turned off by the unusual flavors. If I made this again, I would toss it in a bit of olive oil, garlic, and red pepper flakes to let the wine flavors really come forward. Hack #3: Instead of water, boil pasta in cream-based sauce for an easy, one-pot meal. The idea: Everyone loves a good one-pot pasta recipe because they require almost no cleanup. But I've tried making several one-pot pasta recipes in tomato-based sauces, and the result is always underwhelming. But then I found this recipe on Damn Delicious, one of my go-to cooking blogs. 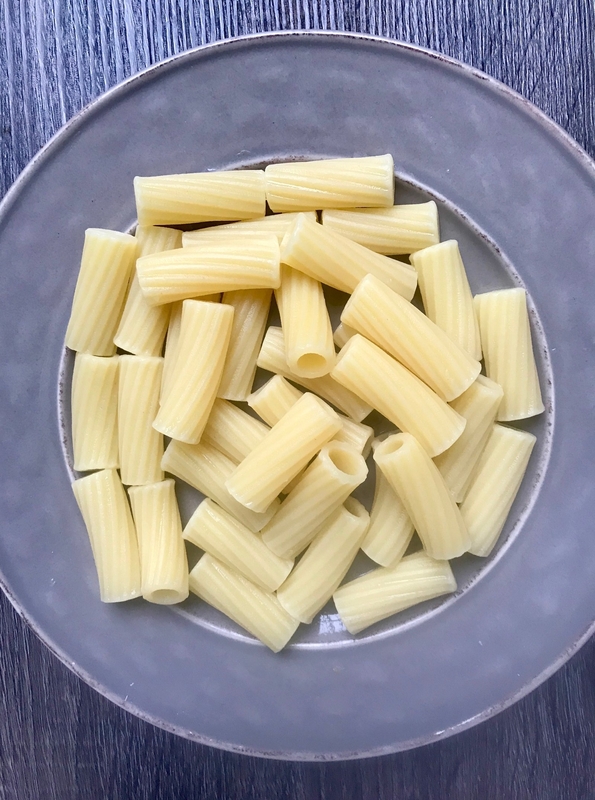 The recipe, which used a milk-based sauce, seemed almost too simple to be true: Heat olive oil and garlic in a large skillet or saucepan, stir in chicken broth, butter, milk, and pasta, bring it to a boil, and cook until the pasta is al dente. But did it taste good? The results: This recipe was incredible. It's not something I'd make every day since it was so rich and buttery — but it couldn't have been easier to prepare. At first, it seems like there is going to be a ton of sauce, but as the sauce boils, it thickens and the fettuccine absorbs it. So when you go to plate it, your pasta is already coated with an absolutely delicious, creamy sauce. I'll definitely be making this again the next time I have a group of friends over and want something easy and crowd pleasing. It would also make for an affordable big-batch family meal. Hack #4: Make a lazy carbonara by cracking eggs over pasta on the stove. 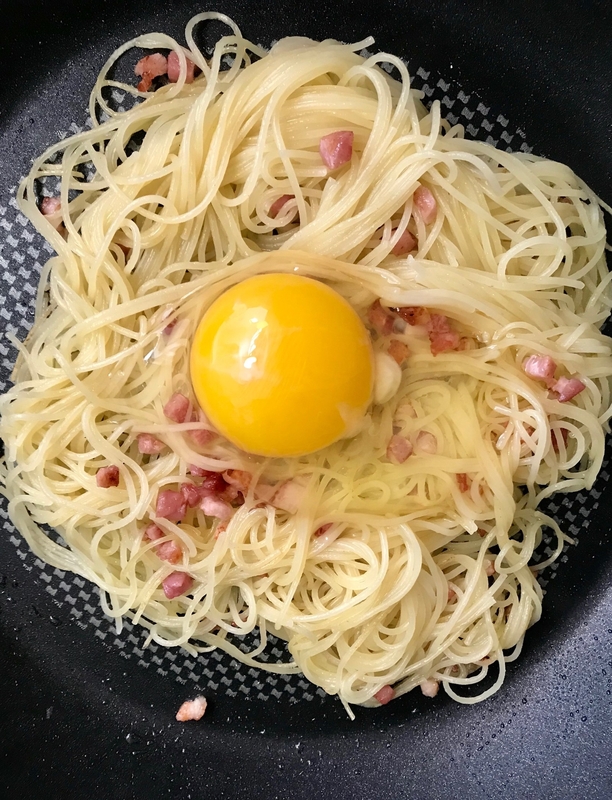 The idea: Spaghetti carbonara is one of life's greatest pleasures, but making it the proper ~Roman~ way takes a good amount of time and effort, and you just don't always have time for that. Which is why this cheater's carbonara —which gets dinner on the table in about 15 minutes flat — is a total lifesaver. 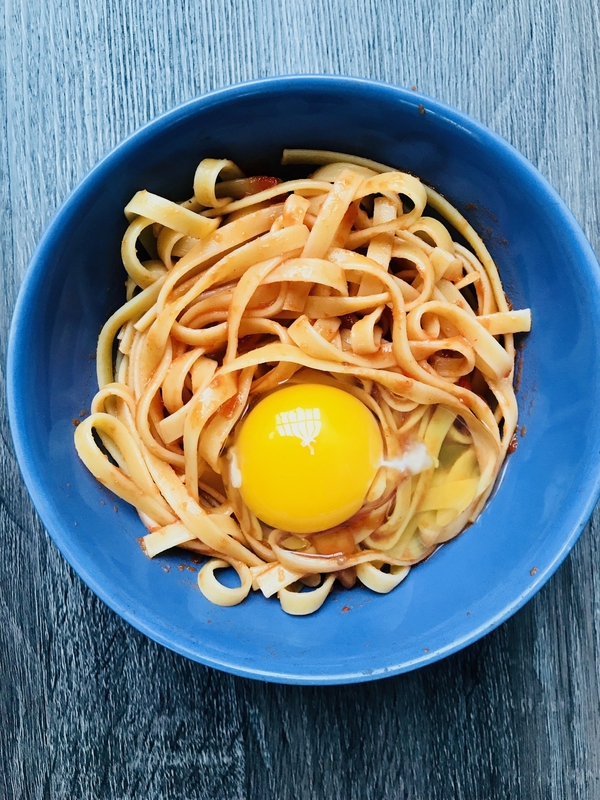 This recipe saves time because it doesn't require you to whisk together egg yolks and Parmesan to make an egg-based sauce. You just fry up some bacon or pancetta, add cooked spaghetti to the frying pan, crack an egg on top, and mix it all up. The results: Was this lazy gal's recipe as good as real Italian spaghetti carbonara? Maybe not. Was it good enough to whip up on a weeknight? Hell yes. It's basically a bacon, egg, and cheese sandwich in pasta form. 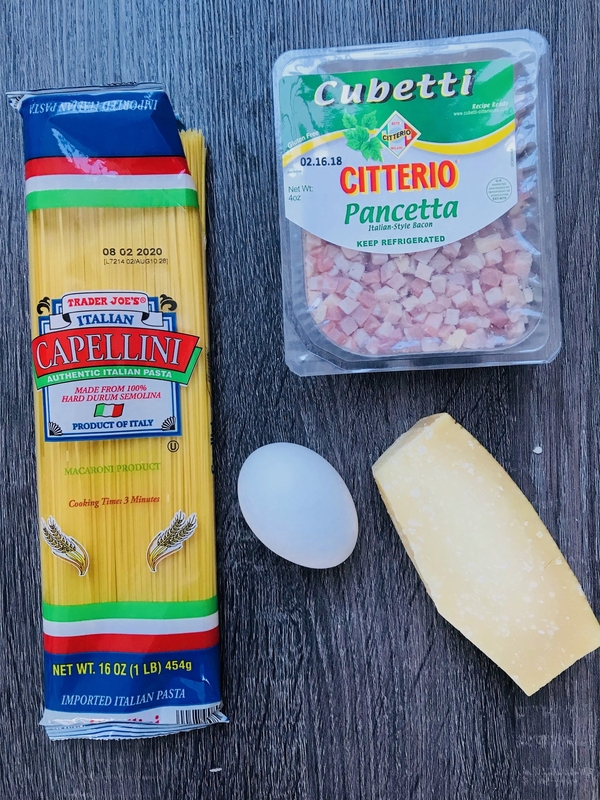 I made this recipe twice, and the big takeaway is that in order to get the yolky, creamy sauce everyone loves about carbonara, you have to turn the heat off the stove before cracking the egg over the pasta (or else the egg will scramble). I turned the heat off, let the pasta sit in the frying pan for about 15 seconds, then cracked the egg and very slowly mixed the yolk into the pasta. Hack #5: Use cauliflower to make a lighter but equally delicious version of Alfredo sauce. The idea: Alfredo sauce, which is traditionally made with loads of butter and heavy cream, is delicious...but it can be overwhelming. So when I came across a cauliflower-based alfredo sauce recipe on Just a Pinch, I had to give it a try. Instead of heavy cream, it uses just a half cup of milk — plus butter, garlic, and boiled cauliflower. The results: Honestly? I couldn't believe that something this decadent tasting was made mostly from vegetables. It was garlicky and creamy and totally delicious. It tasted lighter than classic Alfredo sauce, but it still felt indulgent. I used whole milk to make my Alfredo, but you could very well use any type of milk you like best — like soy or almond milk. The recipe made a ton of sauce, so I used what I needed and then I froze the leftovers in individual plastic baggies to thaw and use on everything from seafood and chicken to veggies and (of course) more pasta. 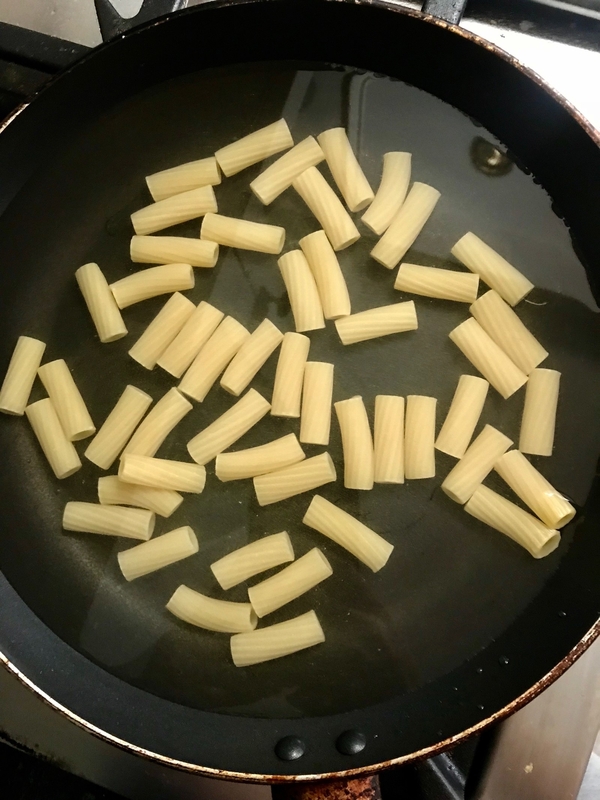 Hack #6: Cook pasta in a shallow pan so you don't have to boil a big pot of water. 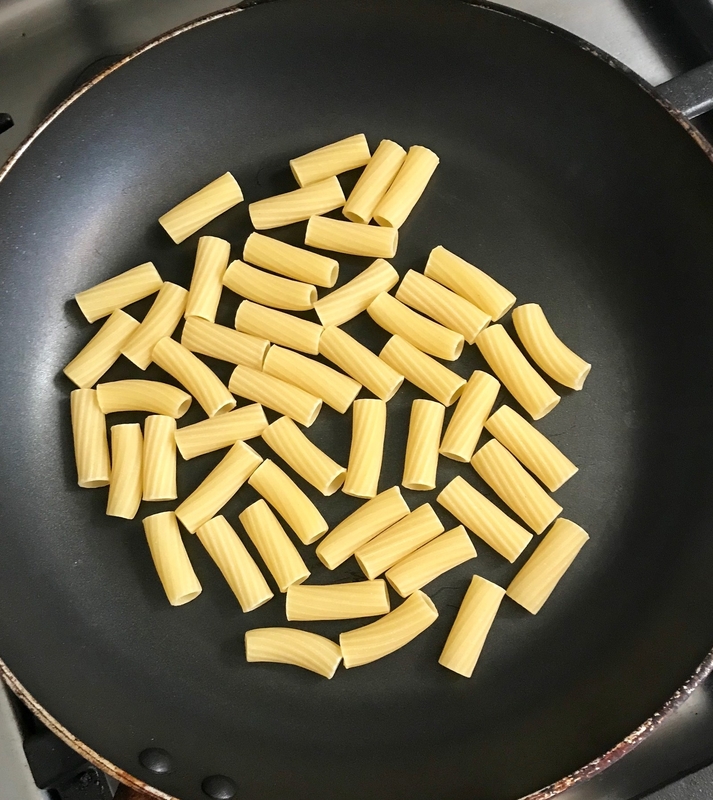 The idea: Instead of waiting for water to boil in a saucepan, you can save time and water by cooking pasta in a frying pan, according to a video on Chowhound. The concept is very simple: Add pasta, salt, and a little bit of cold water to a pan. 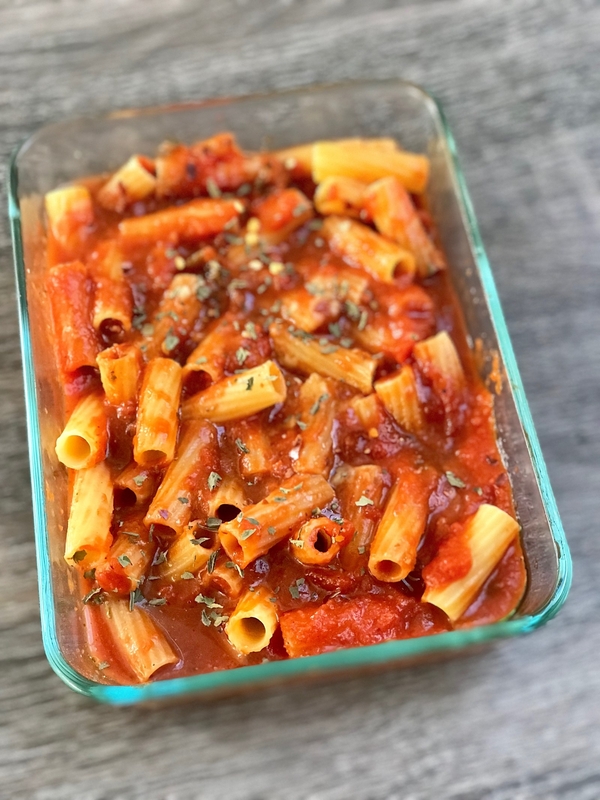 Turn up the heat and, and after about 8 minutes, the pasta will be perfectly cooked — and you can use the remaining starchy water in the frying pan to make your sauce. The results: If you're the type of person who hates waiting for water to boil, then this could be a game changer. This method was incredibly easy and hands off. Other than tossing the ingredients into a pan and turning on the stove, there's not much to it. Ultimately, this method wasn't much quicker than making pasta the traditional way, but the noodles came out perfectly al dente. 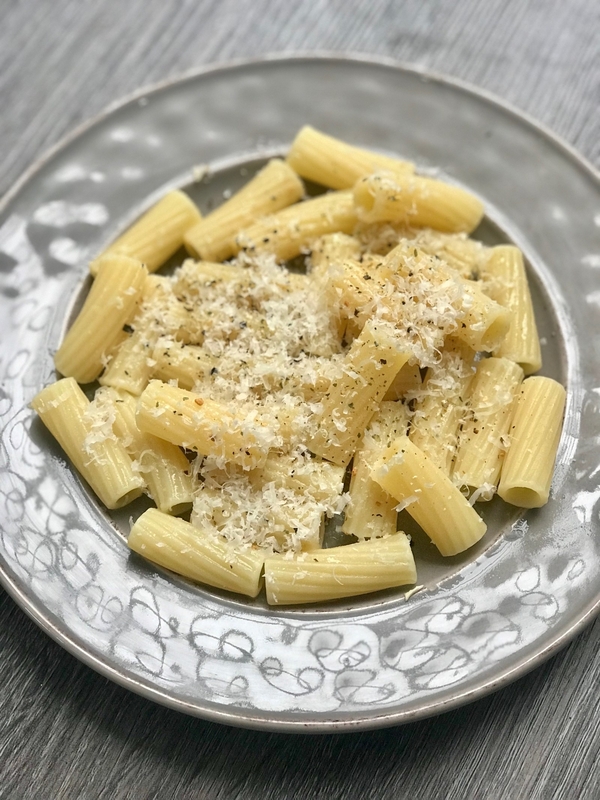 I used some of the leftover, thickened water to toss my pasta with butter, salt, pepper, and Parmesan, and the result was super simple, but very satisfying. Hack #7: For a no-fuss dump dinner, you can bake raw pasta in the oven — directly in its sauce. 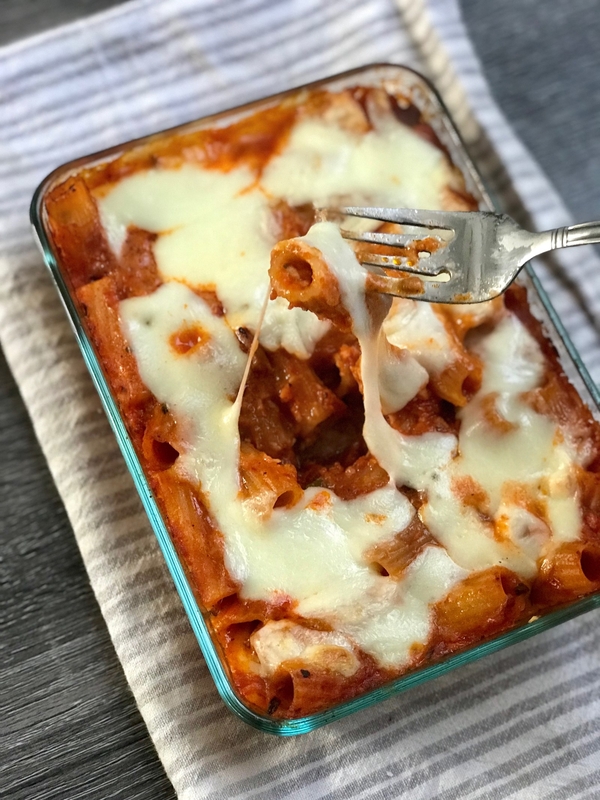 The idea: I used to think no-boil lasagna noodles were the only type of pasta you can bake without boiling first, but as it turns out, that's not the case. 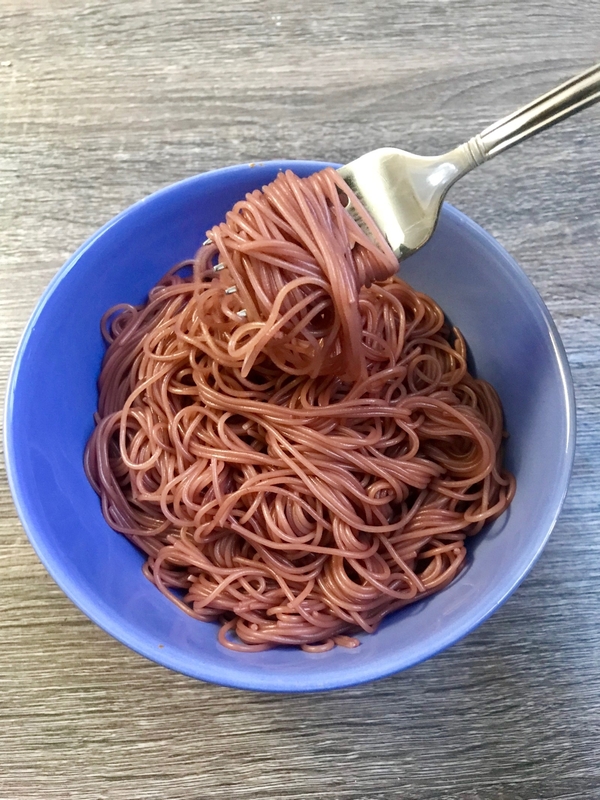 I read on several blogs, including Genius Kitchen and Half Baked Harvest, that you can start with any uncooked, tubular noodles, cover them in sauce and a little bit of water, and cook them in the oven — no boiling required. The pasta absorbs the liquid from the sauce and water, and the whole thing creates steam while its cooking so the noodles stay moist. The results: This one is a game changer, and I can't believe I didn't try it sooner. I covered the baking dish with aluminum foil and baked my pasta for about 40 minutes, then added fresh mozzarella, and cooked it for a few more. The pasta came out absolutely delicious, and the noodles were cooked perfectly. One cool thing about this method is you can dress up your baked pasta as much or as little as you'd like. 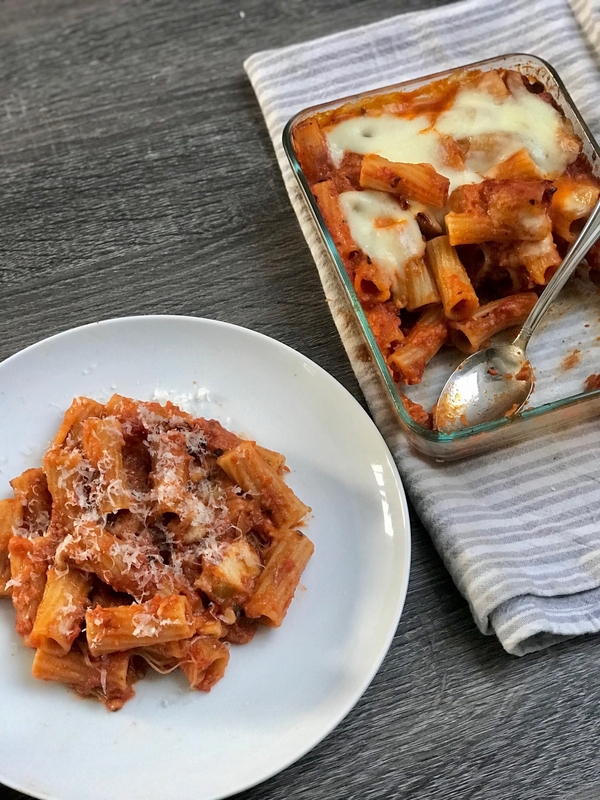 Play it simple with just ziti, tomato sauce, and cheese, or go crazy (like this recipe) and make a homemade sauce loaded with veggies and four cheeses. In other words, baked ziti will never be the same. Hack #8: If you don't have access to a stove, make pasta in a rice cooker for one-touch noodles. 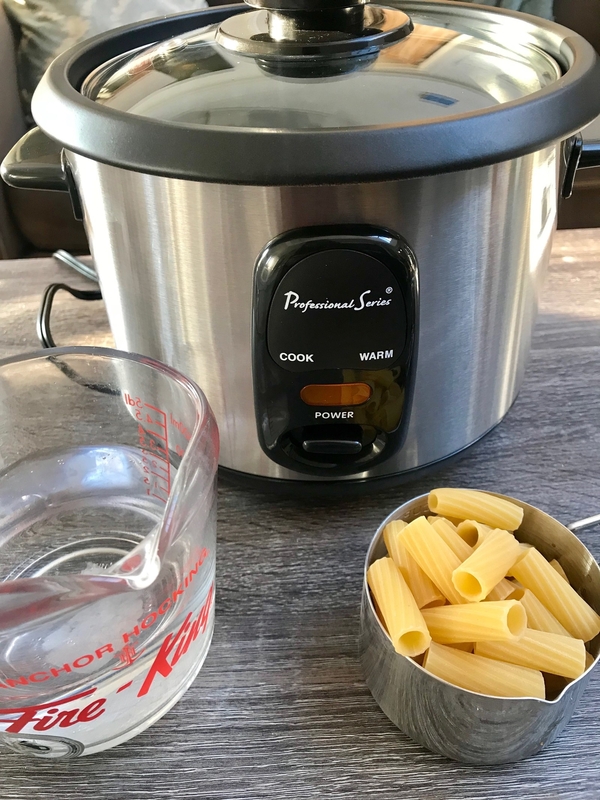 The idea: We know this handy gadget cooks rice to perfection, but it also supposedly cooks pasta every time with no stirring or draining required, according to this recipe. You pour pasta directly into the rice cooker and then add just enough water so that the pasta is covered in liquid. Press the button, and let your dinner cook itself. The results: Now, obviously, everyone doesn't have a rice cooker sitting around, but if you do, you should definitely try this hack out. The nice thing about this method is that, other than dumping pasta and water into the rice cooker and pressing a button, there is literally no work required. When the cooking stops, your pasta is ready to eat. The one downfall is that it's a bit harder to control the exact doneness of your pasta. The trick is watching how much water you put into the rice cooker. 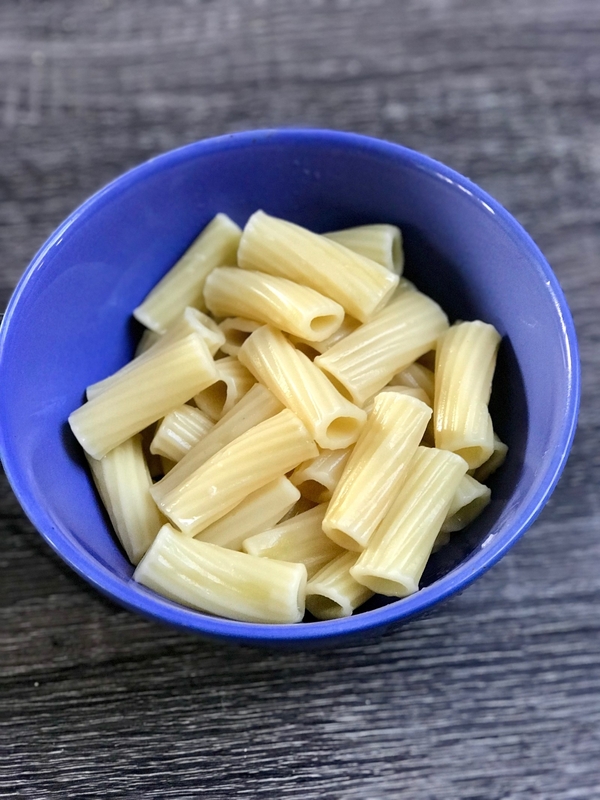 If you like your pasta more al dente, make sure to just barely cover the noodles with water. 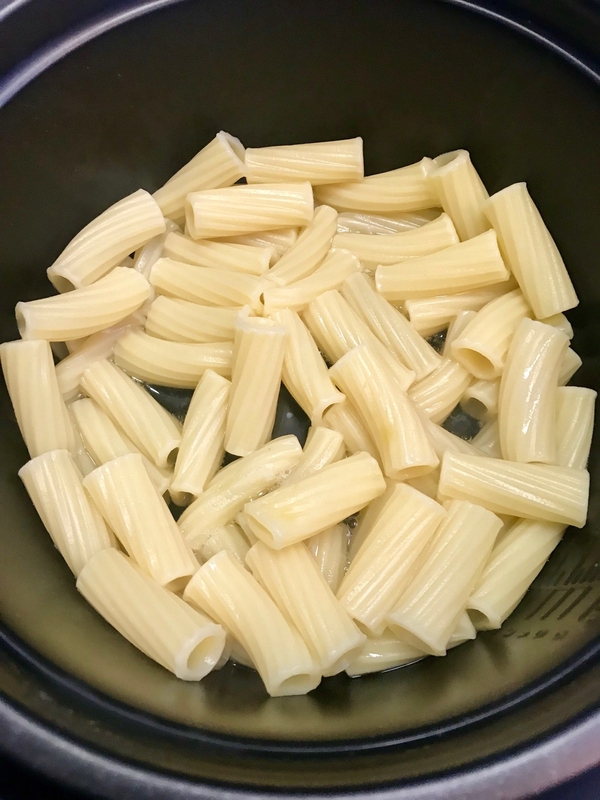 If you like softer pasta, add enough water so it rises about a quarter inch above the noodles. 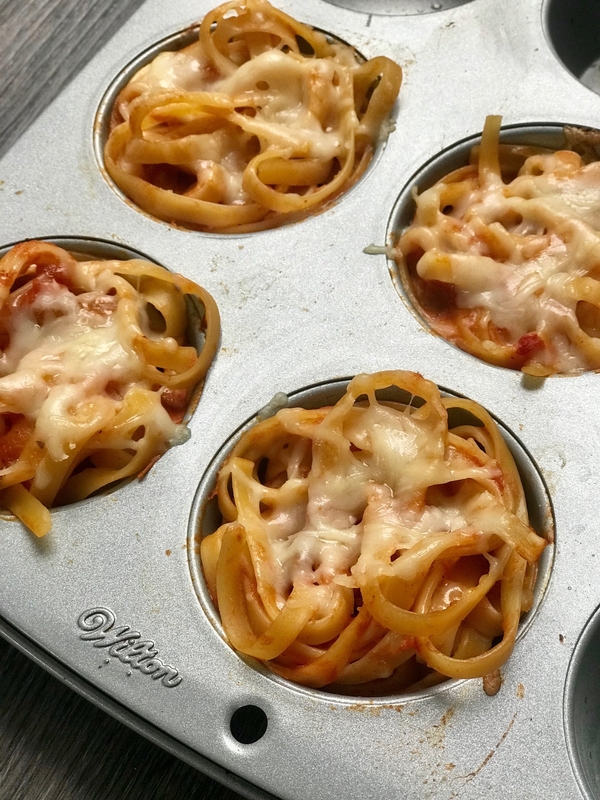 Hack #9: Bake leftover spaghetti in muffin cups for a kid-friendly, freezable snack. The idea: Whenever I make pasta, I find I always have leftovers, which never taste quite as good the next day. So when I found a fun recipe for leftover spaghetti on Recipe Tin Eats, I wanted to give it a try. 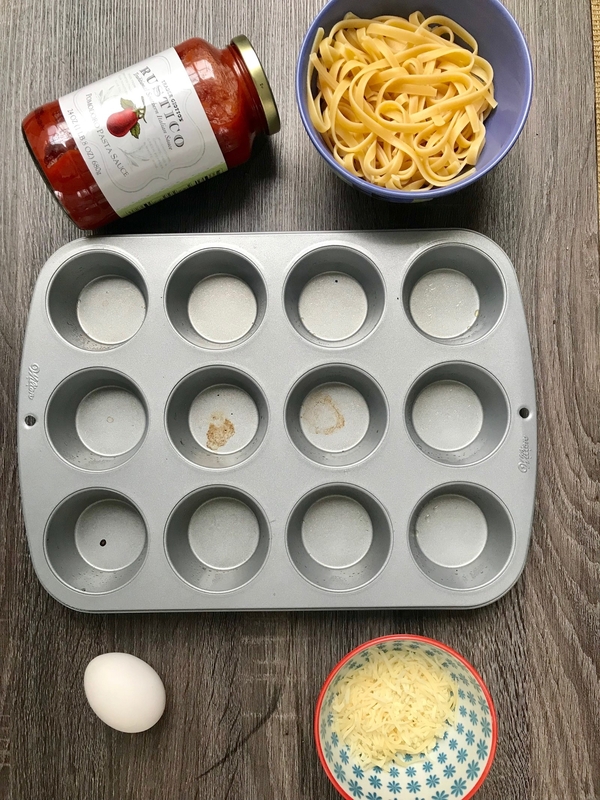 These leftover muffin tin spaghetti nests are perfect individual portions, freezer friendly, and they're a fun on-the-go snack for kids or a cute party app to serve to a crowd. All you have to do is take leftover pasta tossed in tomato-based or cream sauce, mix the pasta with an egg, and pack that mixture into muffin tins with some cheese. 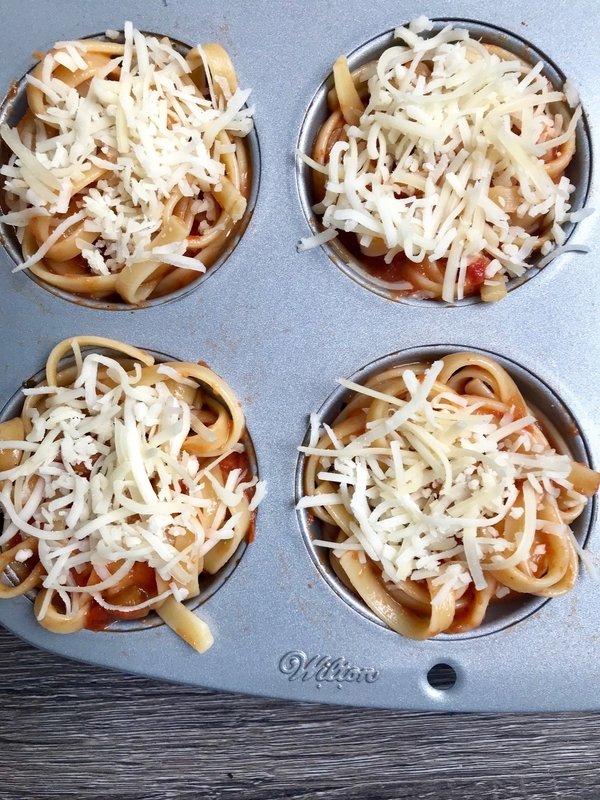 Bake them in the oven for 10 minutes and voilà: delicious pasta cups that are golden brown on the edges. The results: Truth be told, I'd rather eat a bowl of pasta than spaghetti in muffin form, but these came out just fine. As the recipe promised, these spaghetti nests freeze very well and they thaw right away in the microwave or oven, which makes them a handy snack to have around. They'd also make a perfect lunch box meal for kids. You could always dress the spaghetti nests up by adding a meatball on top or hiding some veggies inside. The key to this recipe is that you have to pack the spaghetti tightly into the muffin tins for them to keep their shape when they're done cooking. Hack #10: Make mac 'n' cheese in the microwave in a single mug. The idea: Microwaveable meals are sort of a godsend. Turning on the oven or the stove is a process, but pressing a button on the microwave is essentially zero effort. Plus, microwavable mac 'n' cheese is a perfect meal to whip up in the office cafeteria or even a college dorm room. It's made from start to finish in one mug, and it's a perfectly sized single serving. 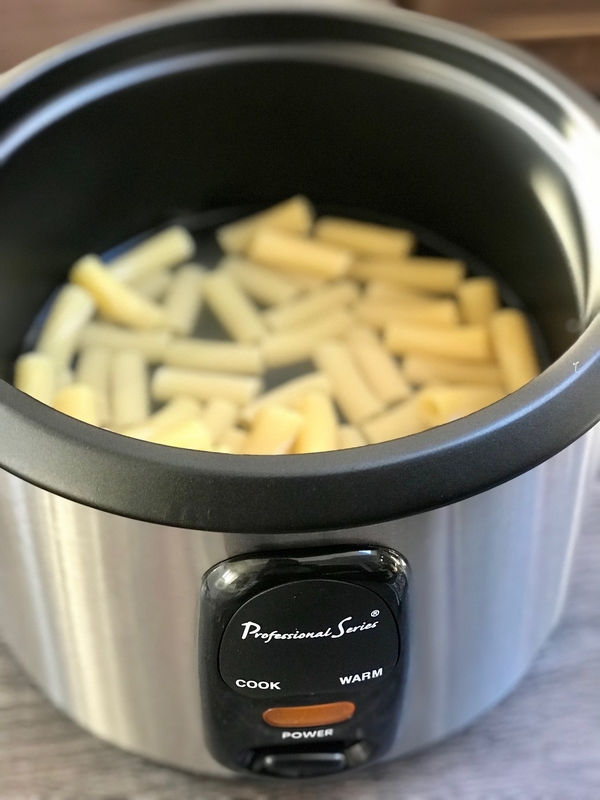 According to The Kitchn, you put noodles and water in a mug and microwave it at 2-minute intervals until the pasta is cooked. Then you add the cheese and microwave it at 30-second intervals until the cheese is melted. The results: Obviously, this didn't taste as good mac 'n' cheese made from scratch, but let's be honest...that takes a ton of freakin' work. This microwaveable version is way better than the boxed stuff, and it takes half the time. You can get as creative as you want with the microwaveable version (add multiple cheeses, veggies, and a dash of cayenne pepper or garlic powder). I'd suggest adding a little bit of butter or milk to make it even creamier. My dog gave this recipe two paws up.